Most downloads are available at Mark Turner's SSRN author page. The Origin of Ideas: Blending, Creativity, and the Human Spark. 2014. New York: Oxford University Press. Paperback edition. Kindle edition. BBC Radio Interview, 31 January 2014. Australian Broadcasting Corporation Radio Interview. 7 May 2014. Brain World Magazine Interview. Spring 2014. The New Scientist piece in "The Big Idea" section. February 2014. Psychology Today review. April 2014. 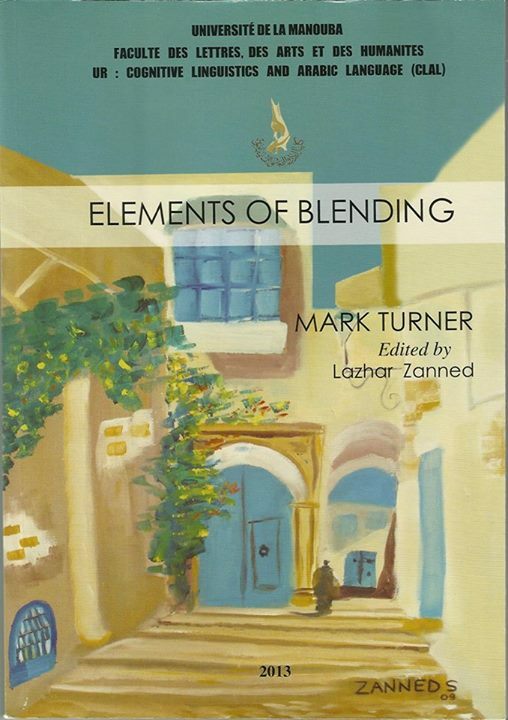 "Turner makes a cogent and often colorfully argued case for blending’s importance as crucial to the development of new ideas and imaginative works." —Publisher's Weekly. Table of Contents: 1. The Human Spark. 2. Catch a Fire. 3. The Idea of You. 4. The Idea of I. 5. Forbidden Ideas. 6. Artful Ideas. 7. Vast Ideas. 8. Tight Ideas. 9. Recurring Ideas. 10. Future Ideas. Appendix: The Academic Workbench. Notes. References. Korean translation 2019 by Yang Bo, Kyungpook National University Press. Elements of Blending. 2013. Edited with a parallel Arabic translation by Lazhar Zanned. Manouba, Tunisia: University of Manouba Press. ISBN 978-9973-085-27-6. Download. This work presents lectures delivered by Mark Turner at the University of Manouba, Tunisia, during November, 2010, translated into Arabic by Professor Lazhar Zanned. Introduction: Origins and Goals of Blending Theory. Part One: Introduction to Blending. Part Two: Blending and Language. (Ten Lectures on Mind and Language.) 2011. Eminent Linguists Lecture Series. Beijing: FLTR Press. Available from Amazon.com. Download free pdf version, from the USA. Download free pdf version and audio or audiovisual recordings, from China.. This volume presents transcripts of ten lectures delivered in English at six Beijing universities during May, 2009. Each lecture is preceded by a summary in Chinese. Clear and Simple as the Truth: Writing Classic Prose. 2011. By Francis-Noël Thomas and Mark Turner. Second edition. Princeton University Press. [First edition 1994.] Prix du Rayonnement de la langue et de la littérature françaises, 1996, from the Académie française. Princeton University Press site. Amazon site. Kindle edition. "Clear and Simple is an island of elegance." — The Editorial Eye. Meaning, Form, and Body. 2010. Edited and with a preface by Fey Parrill, Vera Tobin, and Mark Turner. Stanford: Center for the Study of Language and Information. Distributed by the University of Chicago Press. Download the preface. 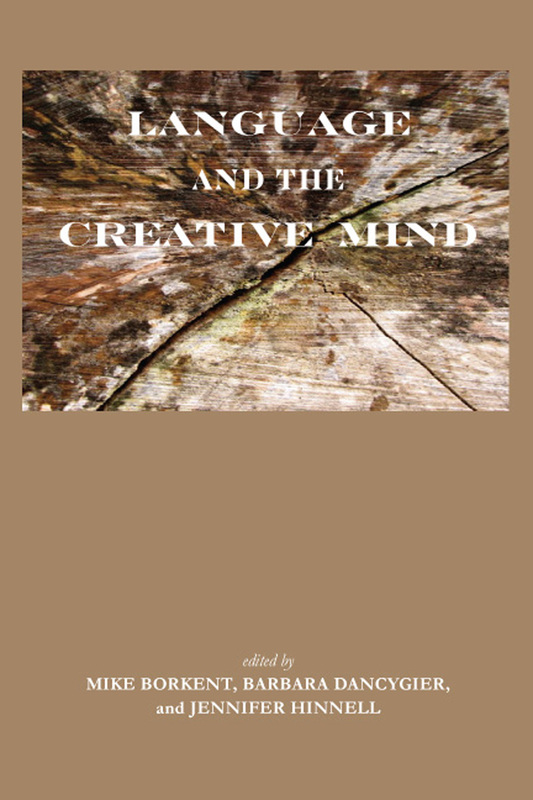 The Artful Mind: Cognitive Science and the Riddle of Human Creativity. 2006. Edited by Mark Turner. With an introduction and a chapter by Mark Turner. New York: Oxford University Press. Kindle edition. Google eBook edition. Oxford University Press page. All normal human beings alive in the last fifty thousand years appear to have possessed irrepressibly artful minds. Cognitively modern minds produced a staggering list of behavioral singularities—science, religion, mathematics, language, advanced tool use, decorative dress, dance, culture, art—that seems to indicate a mysterious and unexplained discontinuity between us and all other living things. This brute fact gives rise to some tantalizing questions: How did the artful mind emerge? What are the basic mental operations that make art possible for us now, and how do they operate? These are the questions that occupy the fourteen contributors to this volume, which emerged from a year-long Getty-funded research project hosted by the Center for Advanced Study in the Behavioral Sciences at Stanford. These scholars bring to bear a range of disciplinary and cross-disciplinary perspectives on the relationship between art (broadly conceived), the mind, and the brain. They offer directions for a new field of research that can play a significant role in answering the great riddle of human singularity. "The definitive introduction to conceptual blending by the two architects of the theory. Highly accessible." — Vyv Evans. "The Way We Think is a dazzling tour of the complexities of human imagination." — George Lakoff. The Literary Mind: The Origins of Thought and Language. Oxford University Press, 1996. Reviewed in Discover Magazine, March 1997. Oxford University Press presentation. Google eBooks edition. Kindle edition. "Written in a crystal-clear style, Turner's book is a triumph of objective literary studies and an example of intelligence, open-mindedness, and intellectual courage." — Modern Philology. "A book which intends to transform our whole outlook not so much on literature, but on how we think. Turner argues his case with brilliance and tenacity. I for one am convinced." — Denis Dutton, Philosophy and Literature. "A provocative and stimulating book, a pioneering achievement, nothing short of revolutionary." — General Semiotics. Named an Outstanding Academic Book of 1997 by Choice. The modern mind derives from our remarkable capacity to deploy a cohort of basic mental operations—story, projection, blending, and parable. Evolutionarily and developmentally, this mental cohort precedes the human singularities we know as language, art, music, mathematical and scientific discovery, religion, advanced social cognition, refined tool use, advanced music and dance, fashions of dress, and sign systems. This mental cohort makes our higher-order human behaviors possible. 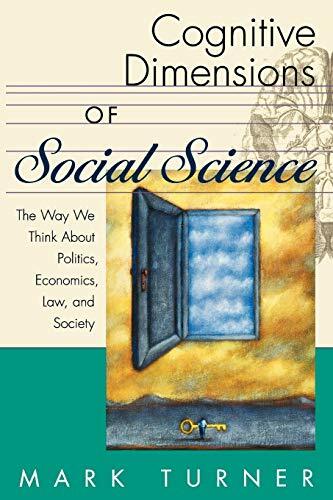 Cognitive Dimensions of Social Science: The Way We Think About Politics, Economics, Law, and Society. Oxford University Press. 2001. Download Chapter Three, "Choice" . Google eBooks edition. Kindle edition. Oxford University Press presentation. Reading Minds: The Study of English in the Age of Cognitive Science. Princeton University Press, 1991. More than Cool Reason: A Field Guide to Poetic Metaphor. 1989. By George Lakoff and Mark Turner. University of Chicago Press. Death is the Mother of Beauty: Mind, Metaphor, Criticism. 1987. University of Chicago Press. Cybereditions eBook or Paperback. "A study that is exhaustive, richly documented, finely articulated, and extraordinarily broad in the range of knowledge and literary examples that it brings to bear." — Donald Freeman, Poetics Today. Figurative Language and Thought. 1998. By Cristina Cacciari, Ray Gibbs, Jr., Albert Katz, and Mark Turner. Oxford University Press. 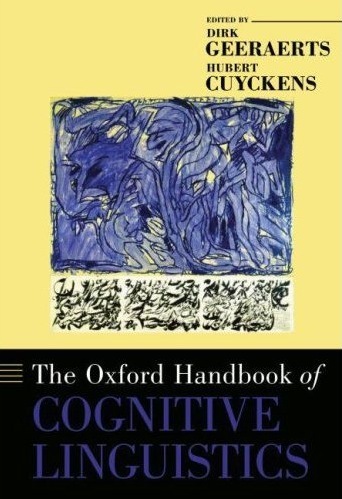 [A volume in the series Counterpoints: Cognition, Memory, and Language.] Download. Guest Editor, Special feature on “Shakespeare in the Age of Cognitive Science,”(pages 1-131) in the Shakespearean International Yearbook, edited by Graham Bradshaw, Thomas Bishop, and Mark Turner, volume 4, 366 pages. Hants, U.K.: Ashgate Publishing Limited, 2004. Fauconnier, Gilles & Mark Turner. 2019. “Preface” to the Chinese translation of The Way We Think. Translated by Yang Bo. Beijing: The Commercial Press. Turner, Mark. 2019. 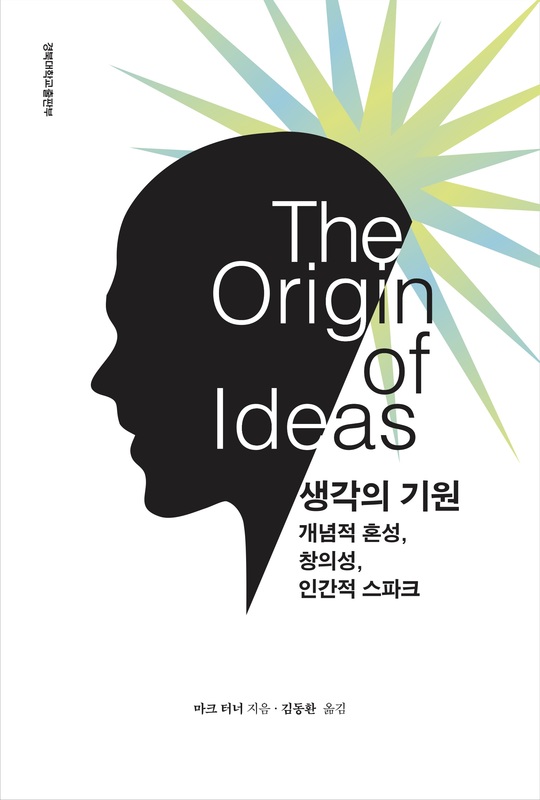 “Preface” to the Korean translation of The Origin of Ideas. Translated by Dong-hwan Kim. Kyungbook National University Press. Turner, Mark & Mathew D. McCubbins. 2018. Selves and Choices. Reti, saperi, linguaggi: Italian Journal of Cognitive Sciences. 5:1. pages 47-58. doi: 10.12832/90970. Turner, Mark. 2018. The Role of Creativity in Multimodal Construction Grammar. Zeitschrift für Anglistik und Amerikanistik. 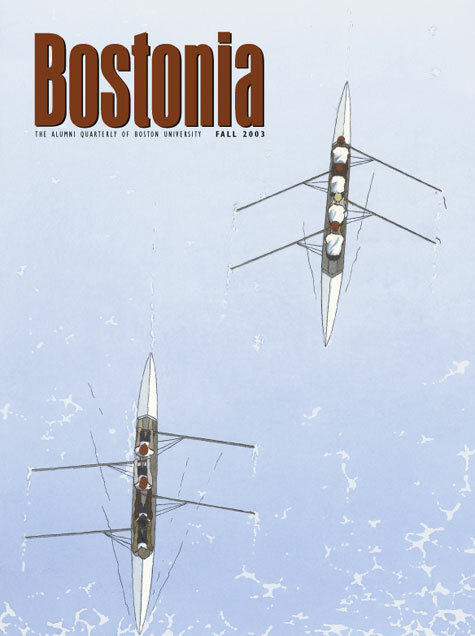 Volume 66, Issue 3. Pages 357–370. https://doi.org/10.1515/zaa-2018-0030. Turner, Mark, Tarek Besold, & Roberto Confalonieri. 2018. 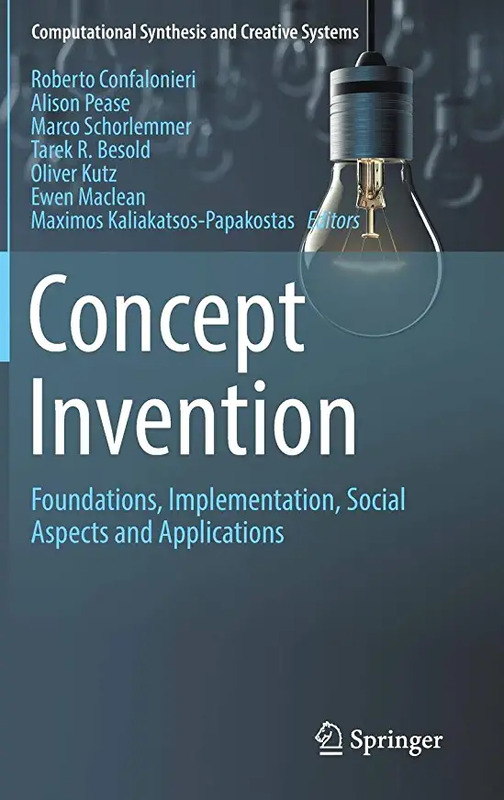 “Foreword” to Concept Invention: Foundations, Implementation, Social Aspects, and Applications. Edited by Roberto Confalonieri, Alison Pease, Marco Schorlemmer, Tarek R. Besold, Oliver Kutz, Ewen Maclean, and Maximos Kaliakatsos-Papakostas. Springer. A volume in the series Computational Synthesis and Creative Systems. Steen, Francis F., Anders Hougaard, Jungseock Joo, Inés Olza, Cristóbal Pagán Cánovas, Anna Pleshakova, Soumya Ray, Peter Uhrig, Javier Valenzuela, Jacek Woźny and Mark Turner. 2018. Toward an Infrastructure for Data-driven Multimodal Communication Research. Linguistics Vanguard. Volume 4, Issue1, Pages 1-9. https://doi.org/10.1515/lingvan-2017-0041. Turchyn, Sergiy, Inés Olza Moreno, Cristóbal Pagán Cánovas, Francis Steen, Mark Turner, Javier Valenzuela, and Soumya Ray. 2018. Gesture Annotation with a Visual Search Engine for Multimodal Communication Research. IAAI-18. Turner, Mark. 2017. “Slavic Red Hen, or, Laura Janda and the Dream of the Multimodal Constructicon.” Slavica. Turner, Mark. 2017. “Imaginary Conversations.”Journal of Foreign Languages and Cultures. 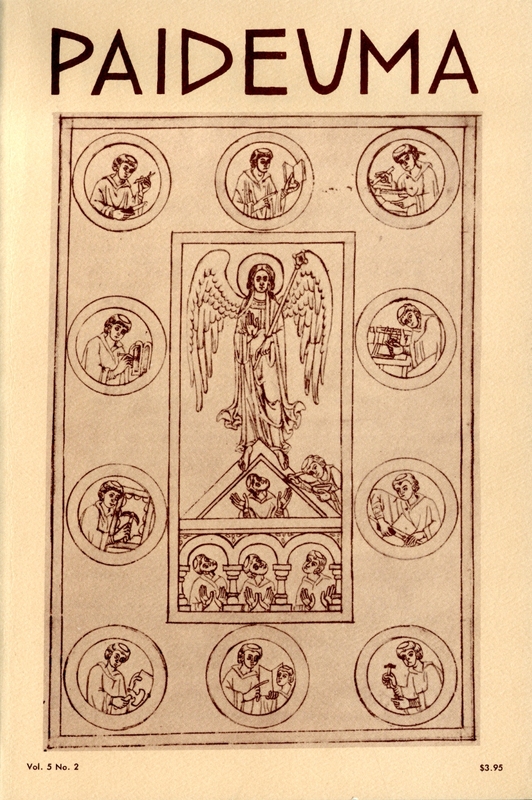 Volume 1, Number 1, pages 95-101. Download. Joo, Jungseock, Francis Steen, & Mark Turner. 2017. Red Hen Lab: Dataset and Tools for Multimodal Human Communication Research. 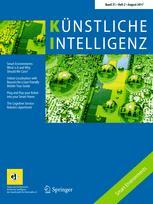 KI - Künstliche Intelligenz. Springer. Special edition edited by Mehul Bhatt & Kristian Kersting. https://doi.org/10.1007/s13218-017-0505-9. Print ISSN 0933-1875. Online ISSN1610-1987. Turner, Mark. 2017. Polytropos and Communication in the Wild. 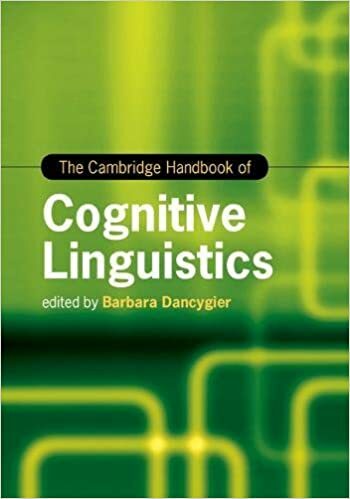 The Cambridge Handbook of Cognitive Linguistics, edited by Barbara Dancygier. Pages 93-98. Turner, Mark. 2017. Multimodal Form-Meaning Pairs for Blended Classic Joint Attention. Linguistics Vanguard. DOI 10.1515/lingvan-2016-0043. Turner, Mark. 2016. The Performing Mind. 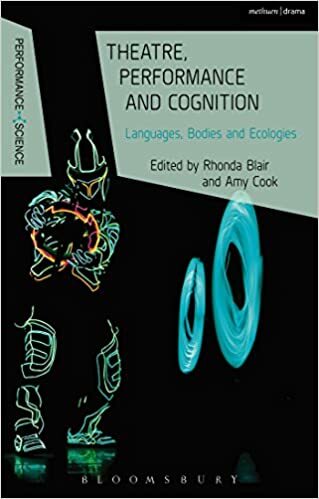 In Theatre, Performance, and Cognition: Languages, Bodies, and Ecologies, edited by Rhonda Blair and Amy Cook. Bloomsbury Methuen. Pages 68-74. Download. "Mark Turner’s [contribution] is invaluable to understanding how to analyze and interpret cognitive science sources, as it provides information on the strengths and weaknesses of overarching methodological concepts within the fιeld." —Scott Knowles, Journal of Dramatic Theory and Criticism, Spring 2018, 32(2), page 173. Turner, Mark. 2016. "La Integración Conceptual Como Un Programa De Investigación Para La Creatividad Computacional." 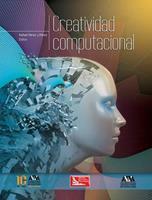 In Creatividad Computacional, edited by Rafael Pérez y Pérez. Grupo Editorial Patria. ISBN: 978-607-744-284-4. Pages 33-50. Download. Pagán Cánovas, Cristóbal and Mark Turner. 2016. Generic integration templates for fictive communication. 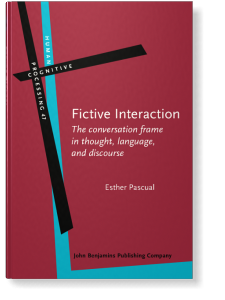 In The Conversation Frame: Forms and Functions of Fictive Interaction, edited by Esther Pascual and Sergeiy Sandler. John Benjamins. Pages 45-62. Download. Turner, Mark. 2015. 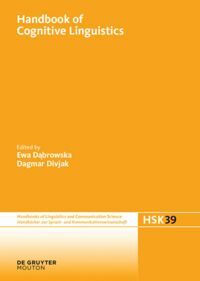 "Blending in Language and Communication," in Dąbrowska, Ewa and Dagmar Divjak, editors, Handbook of Cognitive Linguistics. De Gruyter Mouton, Berlin. Pages 211-232. Download. Lucas, Gale, Mathew D. McCubbins, & Mark Turner. 2015. "Against Game Theory." Emerging Trends in the Social and Behavioral Sciences 1-16. John Wiley & Sons. Download. McCubbins, Mathew D. & Mark Turner. 2014. "Are Individuals Fickle-Minded?" 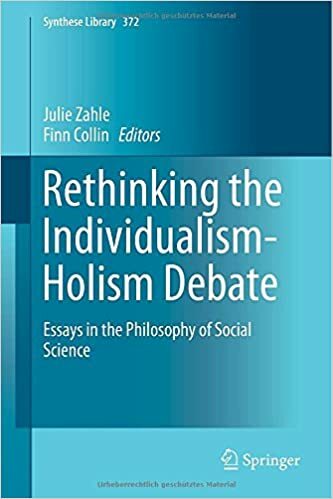 In Zahle, Julie & Finn Collin, editors, Rethinking the Individualism-Holism Debate: Essays in the Philosophy of Social Science. Springer. Pages 237-252. Steen, Francis & Mark Turner. 2013. “Multimodal Construction Grammar” in Borkent, Michael, Barbara Dancygier, and Jennifer Hinnell, editors, Language and the Creative Mind. Stanford, CA: CSLI Publications/ University of Chicago Press. Pages 255-274. Download. Turner, Mark. 2013. “Preface” to Ensayos semióticos II. 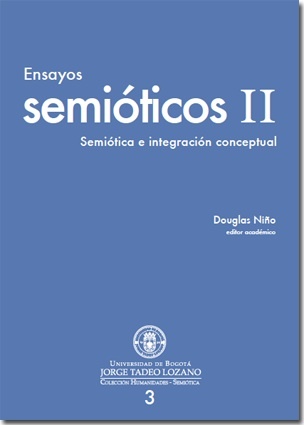 Semiótica e integración conceptual. McCubbins, Mathew D. & Mark Turner. 2013. “Concepts of Law.” Southern California Law Review. Volume 86, Issue 3, 517-572. Download. Law depends for its existence and practice upon vast concepts that stretch across time, space, causation, and agency. Vast concepts are fundamental from legislation and interpretation to enforcement and adjudication; from weighing evidence to establishing motive and intent; and from imposing fines or sentences to awarding compensation. But all of human thought and memory is just here and now. Forming and understanding vast legal concepts can be difficult, and failures arise in theory and practice when legal concepts fail to meet certain constraints on intelligibility, congeniality, efficiency, and memorability. We present a model of the formation of legal concepts and some constraints on their practical utility. We also suggest a research agenda that may allow us to better understand what sorts of legal concepts work, and which ones we discard and when. Nesset, T., A. Endresen, L. Janda, A. Makarova, F. Steen, & M. Turner. 2013. "How here and now in Russian and English establish joint attention in TV news broadcasts." Russian Linguistics 37:229–251 DOI 10.1007/s11185-013-9114-x. This article presents a thorough investigation of the five Russian deictic wordsthat correspond to the English meanings ‘here’ and ‘now’: zdes’, tut, sejčas, teper’ and vot. We analyze data from the Russian National Corpus and data from Russian TV news broadcasts. On the basis of the corpus data, we propose a radial category network consisting of nine subcategories, which encompass all five words, and show that although the deictic words have overlapping distributions, they all have distinct ‘radial category profiles’ in the sense that they display different centers of gravity in the network. We advance the ‘Minimal Adaptation Hypothesis’, according to which language makes adaptations that are as small as possible, when applied to a new setting, such as the one created by TV. McCubbins, Mathew D., Mark Turner, and Nicholas Weller. 2013. “Testing the Foundations of Quantal Response Equilibrium.” In Greenberg, A. M., Kennedy, W. G., Bos, N. D. (Eds. ), Social Computing, Behavioral-Cultural Modeling and Prediction. Lecture Notes in Computer Science, Volume 7812. Berlin: Springer. Pages 144-153. Download. Science fiction has explored in many ways the intimate interaction of people with computers. The protagonist in Blade Runner, whose job is to kill replicants, hooks up with one. An acquaintance says to him, "It's too bad she won't live! But then again, who does?" Much of the analysis of human decision-making depends upon notions of how people think about each other. But what happens when the other agent in your interdependent decision-making is a computer? We tested that. It is well known that people routinely deviate from Nash equilibrium in making decisions. "Quantal Response Equilibrium" theories propose that people are boundedly rational; that the more costly the deviation from Nash equilibrium, the rarer the deviation will be; and that two main sources of these deviations are social preferences about other people and lack of certainty about how they will behave. We stripped off those two possible sources by having subjects play against computer algorithms that they understood would choose strictly so as to maximize their own earnings in each local task. Our subjects still often deviated from Nash equilibrium. Moreover, the deviations were different for each and every game. Our preliminary conclusion is that QRE is not useful at predicting human behavior, and is of limited use in explaining human behavior across even a small range of highly similar decisions. Turner, Mark. 2013. “Iconicity By Blending.” In Iconicity in Language and Literature, edited by Lars Elleström, Christina Ljungberg, and Olga Fischer. John Benjamins. Pages 13-24. Antović, Mihailo, Austin Bennet, and Mark Turner. 2013. “Running in Circles or Moving Along Lines: Conceptualization of Musical Elements in Sighted and Blind Children.” Musicae Scientiae (the Journal of the European Society for the Cognitive Sciences of Music), 17: 229-245. Turner, Mark. 2012. "Mental Packing and Unpacking in Mathematics." 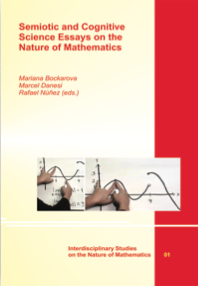 In Mariana Bockarova, Marcel Danesi, and Rafael Núñez, editors, Semiotic and Cognitive Science Articles on the Nature of Mathematics. Munich: Lincom Europa. Interdisciplinary Studies on the Nature of Mathematics 01. Pages 248-267. McCubbins, Mathew D., Mark Turner and Nicholas Weller. 2012. “The Theory of Minds Within the Theory of Games.” In Arabnia, H. R., de la Fuente, D. Kozerenko, E. G., LaMonica, P. M., Liuzzi, R. A., Olivas, Jose A., Solo, A. M. G., and Waskiewica, T., editors, Proceedings of the 2012 International Conference on Artificial Intelligence, Vol. I. CSREA Press, pages 515-521.Download. Classical rationality as accepted by game theory assumes that a human chooser in a given moment has consistent preferences and beliefs and that actions result consistently from those preferences and beliefs, and moreover that these preferences, beliefs, and actions remain the same across equal choice moments. Since, as is widely found in prior experiments, subjects do not follow the predictions of classical rationality, behavioral game theorists have assumed consistent deviations from classical rationality by assigning to subjects certain dispositions — risk preference, cognitive abilities, social norms, etc. All of these theories are fundamentally cognitive theories, making claims about how individual human minds work when choosing. All of them are fundamentally wrong in assuming one kind of consistency or another. Or at least, all of the proposals for consistency in belief, preference, and action with which we are aware turn out to be wrong when tested experimentally. McCubbins, Mathew D. & Turner, Mark. 2012. “Going Cognitive: Tools for Rebuilding the Social Sciences.” In Sun, Ron, ed. Grounding Social Sciences in Cognitive Sciences. Cambridge MA: MIT Press. Chapter 14. 387-414. Download. 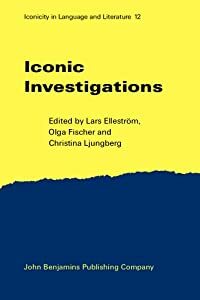 This chapter is an attempt to provide a few examples of the ways in which routine methods of cognitive science could be applied to improve social scientific investigations concerned with judgment, decision, reason, and choice. Since judgment, decision, reason, and choice are cognitive and conceptual operations, these foundations should draw as much as possible on the best research from cognitive science. McCubbins, Mathew D., Mark Turner and Nicholas Weller. 2012. “The Mythology of Game Theory.” In Yang, S. J., Greenberg, A., and Endsley, M., editors, Social Computing, Behavioral-Cultural Modeling, & Prediction. Berlin: Springer Lecture Notes in Computer Science, Volume 7227, pages 27-34. Download. McCubbins, Mathew D., Mark Turner and Nicholas Weller. 2012. “The Challenge of Flexible Intelligence for Models of Human Behavior.” AAAI Spring Symposium Series 2012. Technical Report SS-12-03. pp. 54-60. Available here. Download. Game theoretic predictions about equilibrium behavior depend upon assumptions of inflexibility of belief, of accord between belief and choice, and of choice across situations that share a game-theoretic structure. However, researchers rarely possess any knowledge of the actual beliefs of subjects, and rarely compare how a subject behaves in settings that share game-theoretic structure but that differ in other respects. Our within-subject experiments utilize a belief elicitation mechanism, roughly similar to a prediction market, in a laboratory setting to identify subjects' beliefs about other subjects' choices and beliefs. These experiments additionally allow us to compare choices in different settings that have similar game-theoretic structure. We find first, as have others, that subjects' choices in the Trust and related games are significantly different from the strategies that derive from subgame perfect Nash equilibrium principles. We show that, for individual subjects, there is considerable flexibility of choice and belief across similar tasks and that the relationship between belief and choice is similarly flexible. To improve our ability to predict human behavior, we must take account of the flexible nature of human belief and choice. "The Embodied Mind and the Origins of Human Culture." 2011. In Cognition and Culture: An Interdisciplinary Dialogue. 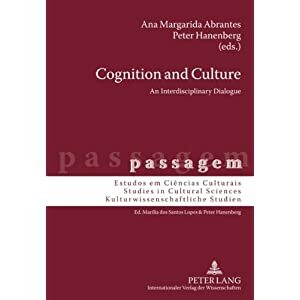 Edited by Ana Margarida Abrantes & Peter Hanenberg. Frankfurt & Berlin: Peter Lang. Pages 13-27. Download. In The Way We Think (2002), Gilles Fauconnier and I proposed that the basic mental operation of conceptual integration, also known as "blending," has been present and evolving in various species for a long time. Modern human beings evolved not an entirely different kind of mind, but instead the capacity for the strongest form of conceptual integration, known as "double-scope" or "vortex" blending. It is the engine of human imagination. “Conceptual Blending.” 2010. 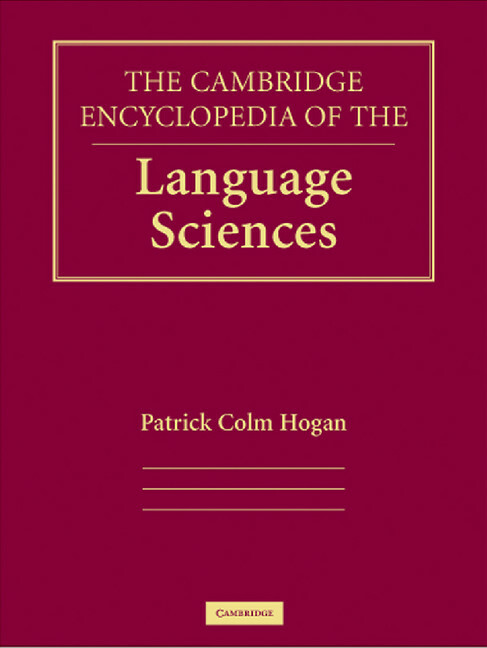 The Cambridge Encyclopedia of the Language Sciences, edited by Patrick Colm Hogan. Cambridge, UK: Cambridge University Press. Pages 194-197. “Parable.” 2010. The Cambridge Encyclopedia of the Language Sciences, edited by Patrick Colm Hogan. Cambridge, UK: Cambridge University Press. Pages 580-581. “De Rerum Natura: Dragons of Obliviousness and the Science of Social Ontology.” 2009. 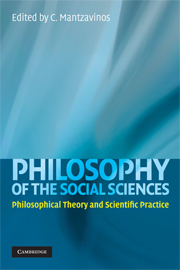 In Philosophy of the Social Sciences: Philosophical Theory and Scientific Practice, edited by Chrysostomos Mantzavinos. Cambridge, UK: Cambridge University Press. Pages 28-40. Social science would be easier if each aspect of higher-order human cognition operated independently of the others. Then we could treat human behavior as a linear sum of partitioned categories of performance. John Searle has shed light on how this model fails for language and social ontology, leading us to mistake rehearsing tautologies for doing science. I assert that this failure is general across a great range of aspects of higher-order human performance—language being only one of them—and present a theory of their relations. "The Scope of Human Thought." 2009. On the Human. An on-line forum published by the National Humanities Center. Target article with commentary by other researchers and a response from the author. Biologically, we resemble other animals, but mentally, we leave them in the dust. The scope of human thought is vast. Why are we so different? "Signs of Intelligent Life." 2009. 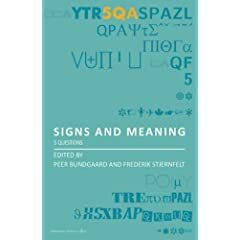 Signs and Meaning: Five Questions. Edited by Peer Bundgaard and Frederik Stjernfelt. New York: Automatic Press/VIP. Pages 257-271. Download. Human beings are, in their behavior, and especially in their ubiquitous creativity, dramatically unlike members of other species, despite the genetic and anatomical similarities. We create symbolic systems, signs, and new meaning. How can our distinctive ability to do so be explained? "The Mind is an Autocatalytic Vortex." 2008. 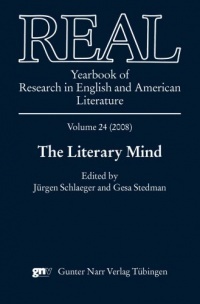 In The Literary Mind, Volume 24 (2008) of REAL: Yearbook of Research in English and American Literature, edited by Jürgen Schlaeger. Tübingen, Germany: Gunter Narr Verlag. December, 2008. Download. Blending is indispensable for advanced narrative cognition. 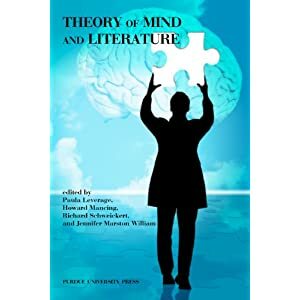 In The Literary Mind: The Origins of Thought and Language (1996), I argued that the modern mind derives from our remarkable capacity to deploy a cohort of basic mental operations—story, projection, blending, and parable. These operations are a pack, a troupe, a self-feeding cyclone, an autocatalytic vortex, a breeder reactor, a dynamic heterarchy—choose your metaphor: they labor together. Some of the evidence I presented in The Literary Mind can be misinterpreted, it seems, as suggesting that advanced narrative cognition comes first in the sequence, and that upon this rock the other operations build their conceptual church. My purpose here is to correct that misinterpretation. Mature narrative cognition does not exist without blending. Blending is not a second step. "The Origin of Language as a Product of the Evolution of Double-Scope Blending." 2008. (With Gilles Fauconnier.) Commentary, Behavioral and Brain Sciences. Further work on the origin of language as derivative of the origin of double-scope conceptual integration. Based on chapter 9 of The Way We Think. "The Origin of Language as a Product of the Evolution of Modern Cognition." (With Gilles Fauconnier.) 2008. 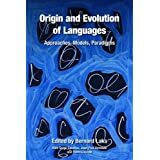 In Laks, Bernard, et al., editors, Origin and Evolution of Languages: Approaches, Models, Paradigms. London: Equinox. Download. Gilles Fauconnier & Mark Turner. 2008. "Rethinking Metaphor." 2008. 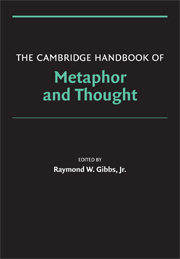 In Ray Gibbs, editor, Cambridge Handbook of Metaphor and Thought. New York: Cambridge University Press, 53-66. Download. Cambridge Books Online. "What are We? : The Convergence of Self and Communications Technology." 2008. In Integration and Ubiquity: Towards a Philosophy of Telecommunications Convergence, edited by Kristóf Nyíri. Vienna: Passagen Verlag. 21-28. Download. Because telecommunications technologies are built to be used at human scale, they provide powerful potential inputs to blended notions of self. It is not that these telecommunications technologies are blurring the boundaries of the self; rather, they are making it possible for us to have certain human-scale conceptions of self. "Frame Blending." 2008. 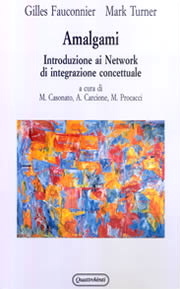 In Frames, Corpora, and Knowledge Representation, edited by Rema Rossini Favretti. Bologna: Bononia University Press. 13-32. Download. "The Way We Imagine." 2007. In Ilona Roth, editor, Imaginative Minds. Proceedings of the British Academy. London: Oxford University Press & the British Academy. [Proceedings of the British Academy 147, 213–236.] Pdf of draft. "The Art of Compression" in The Artful Mind: Cognitive Science and the Riddle of Human Creativity. Edited by Mark Turner. Oxford University Press, October 2006. Zipped pdf version. "Compression and Representation." 2006. Language and Literature. 15:1, 17-27. Download. "Conceptual Integration" in The Oxford Handbook of Cognitive Linguistics. Edited by Dirk Geeraerts and Hubert Cuyckens. Oxford: Oxford University Press, 2007. "Mathematics and Narrative". Paper presented at the International Conference on Mathematics and Narrative, Thales & Friends, Mykonos, Greece, 12-15 July 2005. Pdf version. "The Literal versus Figurative Dichotomy" in The Literal and Nonliteral in Language and Thought. Edited by Seana Coulson and Barbara Lewandowska-Tomaszczyk. Frankfurt: Peter Lang, 2005. Pages 25-52. Excerpt with modifications from a chapter in Figurative Language and Thought. Download. "The Ghost of Anyone's Father." Shakespearean International Yearbook. Edited by Graham Bradshaw, Thomas Bishop , and Mark Turner. Volume 4. Hants, U.K.: Ashgate Publishing Limited, 2004, pages 72-97. Part of a special section on “Shakespeare in the Age of Cognitive Science,” guest editor, Mark Turner. Download. "The origin of selkies." Journal of Consciousness Studies, volume 11 (2004), numbers 5-6: pages 90-115. Download. "Polysemy and Conceptual Blending." (With Gilles Fauconnier.) 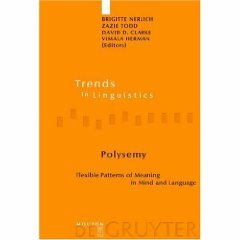 In Polysemy: Flexible Patterns of Meaning in Mind and Language. Edited by Brigitte Nerlich, Vimala Herman, Zazie Todd, and David Clarke. Berlin & New York: Mouton de Gruyter, 2003: 79-94. 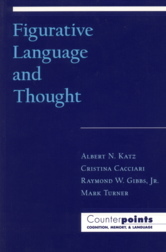 A volume in the series Trends in Linguistics. Download. "L'intégration conceptuelle." 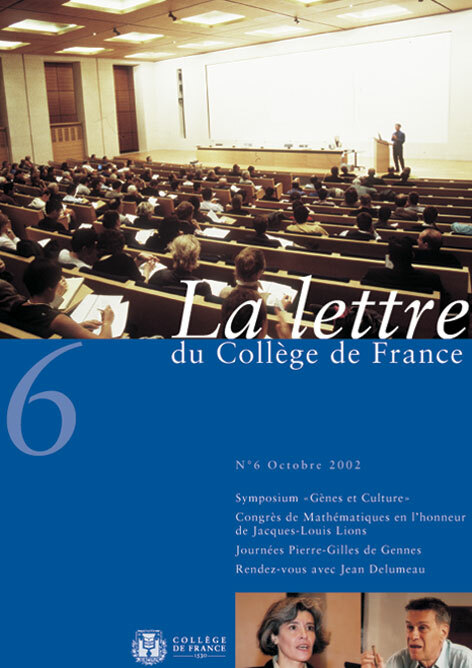 La Lettre du Collège de France. Number 6. October 2002. 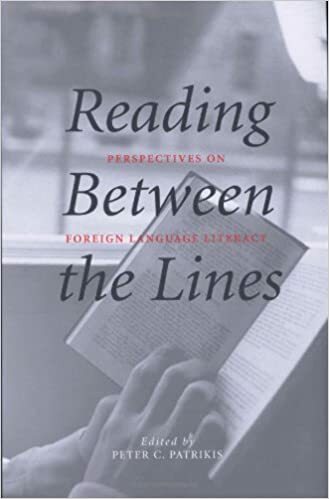 "Literacy and Cognition" in Reading Between the Lines: New Perspectives on Foreign Language Literacy, edited by Peter C. Patrikis. New Haven: Yale University Press, 2003, pages 24-39. "Toward the Founding of Cognitive Social Science." The Chronicle of Higher Education. 5 October 2001.
Review of Leonard Talmy, Toward a Cognitive Semantics. Two volumes. In Language: Journal of the Linguistic Society of America, Vol. 78, No. 3, pp. 576-578, 2002. Download. "Backstage Cognition in Reason and Choice." 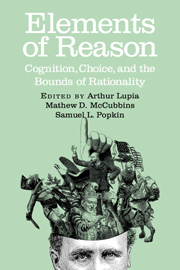 In Arthur Lupia, Mathew McCubbins, and Samuel L. Popkin, editors, Elements of Reason: Cognition, Choice, and the Bounds of Rationality. New York: Cambridge University Press, Summer 2000. Pages 264-286. Download. "Compression and global insight." (With Gilles Fauconnier.) Cognitive Linguistics 11:3-4 (2000), pages 283-304. Download. "Metaphor, Metonymy, and Binding". 2003. (With Gilles Fauconnier). In Metaphor and Metonymy at the Crossroads. Edited by Antonio Barcelona. Mouton de Gruyter, in press. A volume in the series Topics in English Linguistics. "Forging Connections." In Computation for Metaphor, Analogy, and Agents. Edited by Chrystopher Nehaniv. Berlin: Springer-Verlag, 1999, pages 11-26. A volume in the series Lecture Notes in Artificial Intelligence. Download. "A Mechanism of Creativity" (with Gilles Fauconnier). Poetics Today. Volume 20, number 3 (Fall 1999), pages 397-418. [Reprinted as "Life on Mars: Language and the Instruments of Invention." In The Workings of Language, edited by Rebecca Wheeler. Praeger, 1999. Pages 181-200.] Download. "Conceptual Integration in Counterfactuals" (With Gilles Fauconnier). Discourse and Cognition. Edited by Jean-Pierre Koenig, et al. Stanford: CSLI, 1998, 285-296. Download. "Principles of Conceptual Integration" (With Gilles Fauconnier). Discourse and Cognition. Edited by Jean-Pierre Koenig, et al. Stanford: CSLI, 1998, 269-283. "Conceptual Blending and Counterfactual Argument in the Social and Behavioral Sciences." 1996. In Philip Tetlock and Aaron Belkin, editors, Counterfactual Thought Experiments in World Politics. 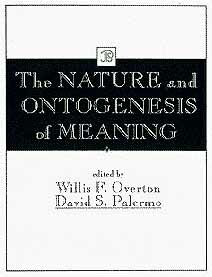 Princeton, N.J.: Princeton University Press, 1996, 291-295. Download. "Poetry for the Newborn Brain." [A commentary on Terrence Deacon, The Symbolic Species.] 1998. Bostonia, Spring, Number 1, 72-73. Download. "Blending as a Central Process of Grammar." (with Gilles Fauconnier) in Conceptual Structure, Discourse, and Language. Edited by Adele Goldberg. Stanford: Center for the Study of Language and Information (CSLI), 1996. Download expanded version. "Conceptual Projection and Middle Spaces." (With Gilles Fauconnier.) UCSD Department of Cognitive Science Technical Report 9401. April 1994. Download. "Conceptual Integration and Formal Expression." (With Gilles Fauconnier). Metaphor and Symbolic Activity, volume 10, number 3 (1995), pages 183-203. Download. "Language is a Virus." Poetics Today 13:4 (Winter 1992), 725-736. Download. "As Imagination Bodies Forth the Forms of Things Unknown." Review of Raymond W. Gibbs, Jr., The Poetics of Mind. In Pragmatics and Cognition, 3:1 (1995) 179-185. Download. "Propertius Through the Looking Glass: A Fragmentary Glance at the Construction of Pound's Homage." Paideuma. 5:2 (1976), 241-265. Download. "Blending Box Experiments, Build 1.0." 23 January 2010. Download. This working paper concerns a central human mental ability: the ability to blend two different conceptual arrays so as to produce an emergent outcome in the blend. The centrality of this mental operation is widely and robustly confirmed by the empirical data. But as far as I have found, there are no tests proposed in the literature to detect the presence or to measure the extent of this ability across the human lifespan (development, maturity, senescence), or under deficit (post-stroke or trauma), or across members of other species (mammalian, aviary). This working paper sketches some of the difficulties encountered in trying to devise such a test. These difficulties have not yet been surmounted. No completely worthy test has yet been found. Cognitive Science in North Africa. 7 December 2010. The New Evolutionary Enlightenment. 30 September 2009. "Cognitive Linguistics." Desde el Exilo. 30 September 2009.